Enter the Rush Limbaugh Show Store Believe in America Challenge Contest right now for your chance to win a FREE four day, three night trip anywhere in the continental United States for two people. How To Enter: During the Rush Limbaugh Store Contest period go to this rushlimbaughshowstore.com and follow the online instructions to register by entering all information requested on the registration form and once you filled out the entry form now Click on the submit button to complete the registration form. Prizes: One grand prize winner will win a four (4) day/three (3) night trip for two (2) people to a location of choice within the continental United States of America (USA). The trip includes round trip coach airfare for two (2) people from the major airport nearest the winner’s home (as determined by the Sponsor) to the major airport nearest the selected location within the continental USA (as determined by the Sponsor), three (3) nights standard hotel accommodations in one (1) hotel room nearest the selected location, roundtrip ground transportation to and from the airport, one thousand dollars ($1,000.00) credit toward incidentals (Approximate Retail Value (“ARV”): $4,800.00). The total ARV of all prizes is $4,800.00. Who Can Enter: This Contest is open only to legal residents of the fifty (50) United States and District of Columbia who are eighteen (18) years of age or older at the time they enter the sweepstakes. 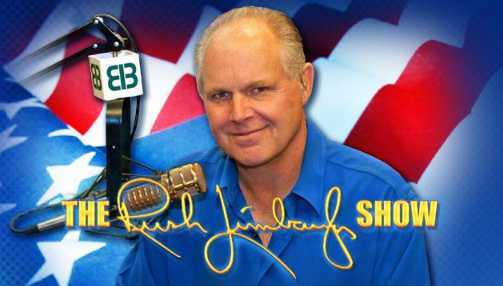 When To Enter: The Rush Limbaugh Contest entry begins at 12:00:01pm Eastern Time (“ET”) on August 3, 2018 and ends at 2:59:59am Eastern Time (“ET”) on August 6, 2018. Who’s Sponsor: The Rush Limbaugh Show Store Believe in America Challenge Contest is sponsored by KARHL Holdings, LLC, 2255 Glades Road, Suite 324A, Boca Raton, FL 33431.